Essentially, the tax implication of a visa or permit held by a foreigner may be dependent on the reason for which the visa or permit was applied for and granted and whether the foreigner worked and earned income in the course of that visit to Nigeria. In this regard, the Nigerian Personal Income Tax Act as amended (“PITA”) and the Double Tax Agreements (“DTA”) between Nigeria and several other contracting States spell out rules in determining the liability of foreign individuals to the Nigerian personal income tax and the quantum of their incomes that would be so liable to tax though PITA provisions are not clear enough on all possible instances when foreigners may be liable to Nigerian tax and thus, leaving room for conjectures and speculations in certain instances. However, the general position of the law as encapsulated in section 3(1)(a) of PITA is that every individual that derives income from any trade, business, profession or vocation, for whatever period of time such trade, business, profession or vocation may have been carried on or exercised in Nigeria is liable to the Nigerian personal income tax on that income except those specifically exempted by law. This provision contains no qualification as to whether the individual that derived the income is a Nigerian resident or non-resident or otherwise attaches any importance to the amount of time such person stayed in or outside Nigeria though residency may be of crucial significance in determining the tax exposure of individuals in Nigeria. Meanwhile, a non-resident individual is essentially one that has spent less than 183 days (i.e. 6 months) in any 12-month period commencing in a calendar year and ending either in the same year or the following year in Nigeria - Ecodrill Nigeria Limited V. Akwa Ibom Board of Internal Revenue (2014) LPELR-23502(CA) is instructive on this point. This however excludes holders of Subject to Regularization (“STR”) visa or the Combined Expatriate Resident Permit and Aliens Card (“CERPAC”) who are generally deemed Nigerian residents irrespective of their period of stay in Nigeria. v. He carries on the trade or business with a connected person in a manner the tax authority considers artificial or fictitious. The categories of persons captured under the above referenced section 6 of PITA are essentially foreign independent contractors, sole proprietors/self-employed persons (other than those in the employment of foreign organisations). These categories of persons are assessed to tax on direct assessment basis. On the other hand, for non-resident individuals in the employment of foreign organisations/employers abroad who are sent to Nigeria by their employers to perform the duties of their employment (assessed to tax on Pay As You Earn basis), the provision of section 6 of PITA above does not apply to them. Such persons are subject to 2 different legal regimes outlined below – depending on whether they are residents of countries that have DTA with Nigeria or not. c) The remuneration of the employee is liable to tax in another country that has a DTA with Nigeria. Essentially, such expatriates would be deemed liable to the Nigerian personal income tax having failed to satisfy the last condition above (i.e. 1(c)). c) the remuneration is not borne by a permanent establishment or a fixed base which the employer has in Nigeria. Following from the above, it is important to note that the computation of the 183 days rule in 2(a) above differs from one Nigerian DTA with a contracting State to another. The Nigerian/United Kingdom DTA was adopted above for the purposes of this article. Suffice it to say also that the major difference between section 10 of PITA provision and Article 15(2) of the DTAs lies on how the 183 days rule mentioned in both legal documents are computed. Thus, the DTA in its computation emphasizes on the number of days the foreigner is physically present in Nigeria within the period covered by an assessment while section 10 of PITA on the other hand focuses more on the foreigner’s dates of first entry and exit from Nigeria in a 12-month period in determining whether he/she has exceeded the 183 days threshold in Nigeria. For instance, a foreigner who comes into Nigeria firstly on 1st May, 2017 and leaves Nigeria for a temporary break or annual leave on 31st August, 2017 but returns again on 20th December, 2017 and leaves finally on 30th December, 2017 would be deemed to have triggered tax under section 10 of PITA provision having exceeded 183 days in Nigeria because his period of absence in the months of September, October, November and some part of December would be counted in determining whether he has stayed up to 183 days in Nigeria. On the other hand, such a person would have been held to have spent only 143 days in Nigeria during 2017 year of assessment under Article 15(2) of the DTA since the DTA focuses on the actual number of days the foreigner was physically present in Nigeria. 1. Transit Visa and Visiting Visa: Holders of these forms of visas are not entitled to work in Nigeria and therefore have no tax liability in Nigeria. However, where a holder breaches his visa condition by working and deriving income from Nigeria, tax may apply. Immigration offence is further disclosed and the individual may be prosecuted by authorities as such. 2. Business Visa: This visa before now, covered restrictively, entry into Nigeria for purposes of business meetings, seminars, conferences, workshops and their likes. Holders of the visa were therefore not expected to work/derive income from Nigeria and as such generally had no tax exposure in Nigeria. However, the scope of this visa has recently been extended by the Nigeria Immigration Service (“NIS”) to include entry for the purposes of contract negotiation, marketing, sales, purchase and distribution of Nigerian goods, training of Nigerians etc. These additional scopes may be construed as work related and may thus give rise to tax exposure though the NIS will typically require a foreign applicant that wishes to come in on this visa for any of these purposes above and with the intention of staying in-country for longer duration (e.g. 60 days) or who comes in on repetitive basis through this visa to apply and obtain a Temporary Work Permit (“TWP”). i) Foreign Employees: The tax implication of business visa on a foreign employee would be dependent on whether the individual is a resident of a DTA or non DTA country. Please see comments above on section 10 of PITA and Article 15(1) and (2) of the DTAs applications to foreign employees. ii) Independent Contractors, Sole Proprietors/Self-Employed Persons/Investors/Entertainers/Sportsmen: Where such a person is considered a Nigerian resident, he would automatically become taxable in Nigeria without further ado on his worldwide income. But where he is deemed a non-resident, he should be liable to tax on his Nigerian sourced income only if any of the conditions in section 6 of PITA enumerated above is satisfied. However, it has been argued on the contrary that such persons are caught up by the omnibus provision of section 3(1)(a) of PITA and are therefore generally liable to tax on their Nigerian sourced income, irrespective of section 6 qualification. In practice though, the default position of the Nigerian counter parties in contract with these non-resident individuals is to deduct tax at source unless the foreigner can provide an exemption certificate issued by the relevant tax authority exempting such income to Nigerian tax before the local party will agree not to make withholding tax deductions. 3. 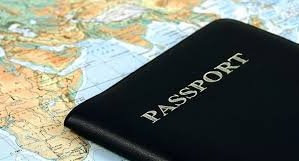 Visa on Arrival: This visa may be termed a hybrid of transit visa, business visa and TWP as it is in some cases issued to persons who are unable to procure any of these other types of visas. See therefore my comments on transit visa, business visa and TWP for the tax implication of this visa. 4. TWP: This permit connotes that its holders would work in Nigeria though on a short term basis (usually for a period not exceeding 90 days in the first instance). Therefore the tax implication of this permit is essentially dependent on the character of the holder of the permit (i.e. whether a foreign employee, independent contractor etc.). See comments above on taxation of foreign employees, independent contractors etc. 5. Diplomatic Visa: By the provisions of paragraph 11 of the Third Schedule to PITA, Article 27 of the DTAs and the Diplomatic Immunities and Privileges Act,diplomatic or consular officials are not taxable (on their salaries) in Nigeria while exercising their official functions for their home countries in Nigeria as they are treated as residents of the sending countries paying their remunerations in Nigeria in line with theVienna Convention on Diplomatic Relations and the Vienna Convention on Consular Relations. However, it is expected that where a diplomat engages in a private trade, business, profession or vocation in Nigerian, the income from such a personal endeavour should become liable to Nigerian personal income tax where any of the conditions discussed above are satisfied. 6. STR Visa and CERPAC: Holders of STR Visa and/or CERPAC are Nigerian residents and as such are liable to tax in Nigeria on their incomes. Persons inviting and assuming the immigration responsibilities of foreigners coming into Nigeria are advised to monitor and keep proper documentation on the movements of the foreigners in and out of Nigeria (e.g. copies of the endorsed visa pages of their passports showing their dates of arrival and exit from the country, records of their locations in Nigeria etc.). They should also take the filing of their Emigration Monthly Returns to the NIS seriously because these are documents tax authorities usually look out for in determining whether a foreigner has triggered tax in Nigeria and which of the tax authority has the jurisdiction to collect the foreigner’s personal income tax. Failure to provide these documents upon request by a tax authority may lead to an adverse tax assessment against such persons or the tax payer. 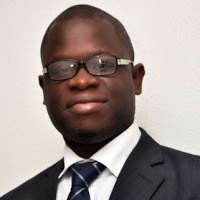 Anthony Ezeamama is a corporate commercial lawyer and a tax specialist.